A Summerville woman using essential oils became impervious to fire this week. Sandy Wachs now has the ability to walk through temperatures exceeding 1,500 degrees Fahrenheit after her daily regimen of rubbing, inhaling, and snorting various essentials oils gave her super-strength. After Sandy rejected modern medicine, she became obsessed with using essentials oils to cure all ailments and gain infinite power. 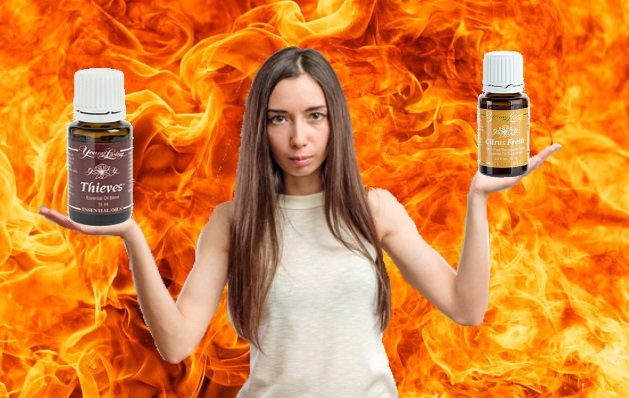 With the help of the local militant homeopathic moms Facebook page, she tested various combinations of oils until she found the perfect recipe for defeating fire. Sandy’s next goal is to hookup continuous intravenous feeds of every essential oil available, which will give her the ability to levitate and shoot lightning bolts from her fingers.